An employee tests the Dyson V8 cord-free vacuum cleaner. The company now has 400 engineers working on an electric car. LONDON -- When Dyson started developing an electric car -- a radical departure for a company known for vacuums and hand dryers -- executives knew it would be tough to keep the plan under wraps. But what they didn't know was that an engineer who they had picked for a small and highly secretive group to work on it already had a job offer from Tesla. Court documents dating back to 2015, and published for the first time Monday, reveal how a 30-year-old engineer, Pierre Pellerey, told Tesla about Dyson's electric car more than two years before it was made public, kicking off months of legal battles. Pellerey, whose role was so secret that company founder and chairman James Dyson had told him not even to discuss it with colleagues, forwarded an email to Tesla's lawyer that barely disguised Dyson's plan. The lawyer said he didn't share it with anyone else at Tesla. But the court case that followed, in which Dyson won an injunction preventing Pellerey from working for Tesla for nine months, meant that Tesla would have known of Dyson's plans two years before they were made public in September 2017. The law firm that represented Pellerey, who now works at Tesla, declined to immediately comment. Representatives of both Dyson and Tesla also declined to immediately comment. 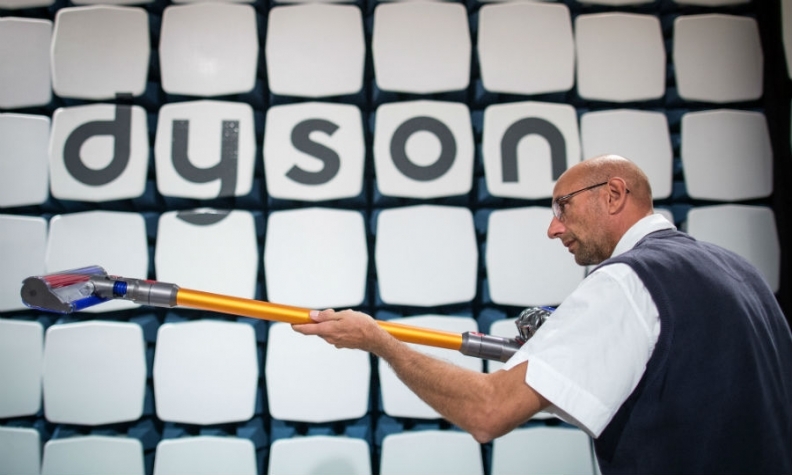 The court case was publicly released after Dyson announced its car plans in September. The case is one of many legal disputes to reveal the high stakes when tech workers move to new jobs. In another courtroom thousands of miles away in San Francisco, Waymo, the self-driving car unit of Alphabet, is suing Uber over claims that the ride-hailing company is basing the future of its business on technology that was stolen by a former employee. The race to dominate the electric cars market is increasingly competitive, with manufacturers from Volkswagen Group and Daimler to Toyota Motor, as well as Tesla and now Dyson, investing in the technology. Dyson said in September that it was spending a billion pounds ($1.3 billion) to develop the car and the same sum to create solid-state batteries to power it. James Dyson predicted that within a few years cars would be the largest source of revenue for the company. Reports have said the company has 400 engineers working on the project. Pellerey, a French national and a senior engineer earning 51,000 pounds ($67,000) a year at Dyson's headquarters in Wiltshire, UK, accepted a job from Tesla in March 2015, but didn't immediately tell Dyson because the offer was conditional on getting a visa to work in the U.S., according to the court ruling released this week. In May, with the visa still not approved, he was called into a secret meeting with two colleagues and told that James Dyson wanted the company to develop an electric car. They would be drafted to work on the confidential project, known only as "Project E." The three were told to take their laptops and move to a secure area within the research department. "I felt a little uncomfortable about being involved in that project, as I knew I would be involved with electric vehicles at Tesla," Pellerey later told the court in a closed hearing, recounted in the court ruling. But, he said, he was torn. If he'd come clean, he feared that "it would have compromised my future prospects at Dyson should Tesla have not confirmed an unconditional job offer with me." And he said the work he was involved in at Dyson was different from the work he was going to do at Tesla. So, he kept quiet. In June, however, Tesla offered him a job in Europe, which avoided the visa difficulties, and he told Dyson he was leaving. When he did that, Dyson's lawyers told him in a letter that he couldn't work for Tesla for 12 months because "your proposed new employer is engaged in the same type of business as the business comprised in Project E." Dyson's electric car project was described as "highly sensitive and confidential." But Pellerey told Tesla's associate general counsel Yusuf Mohamed about the letter. When Mohamed asked to see the document, Pellerey said he wasn't sure he could share it because it was marked confidential. "Yes, just don't put it on Twitter," Mohamed replied, according to the court judgment. Mohamed said he needed it "to carry out our indemnity obligations" because Tesla was agreeing to cover Pellerey's costs in a legal battle with Dyson. Pellerey later told the court that he thought Mohamed would handle it confidentially because he was a lawyer -- an explanation that a judge accepted while saying it "seems obviously inaccurate to a lawyer." "The disclosure of that letter to Mr. Mohamed told him, a member of the outside world, that DTL [Dyson] was working on an electric car," Judge Keith Lindblom ruled in February 2016. "That was just the type of disclosure that the Project E team had had impressed upon it that it must not make." Mohamed said in a letter to Pellerey's solicitors in September 2015 he had not shared the letter with anyone at Tesla. But, another London judge, Richard Snowden, said in an October 2015 ruling, that "Tesla must by now have deduced that Dyson is working on an electric car project." "It does not require a great deal of imagination to come to the conclusion that DTL would not be going to such trouble if the only confidential information he possessed related to vacuum cleaners and hand dryers," Judge Snowden said in an October 2015 ruling. Court hearings in the case were held in secret in 2015, so that the media couldn't find out that Dyson was planning an electric car -- a move that the company made public in September. Pellerey started working at Tesla in June 2016 and still works there now, according to his LinkedIn profile.